Great Wi-Fi. Every room. No more lag or buffering. Whole Home Networking! 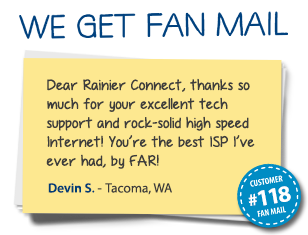 Dear Rainier Connect, thanks so much for your excellent tech support and rock-solid high speed Internet! You’re the best ISP I’ve ever had, by FAR! 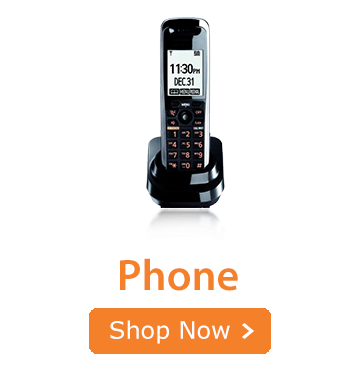 Rainier Connect is South Puget Sound’s premiere phone, cable TV & high-speed Internet provider. 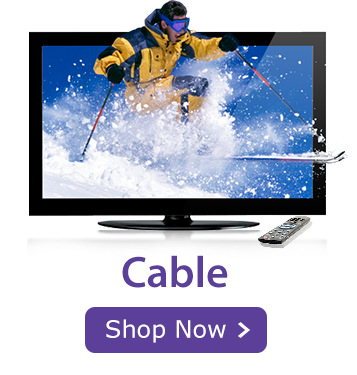 Homes & businesses choose us for quality phone, DSL, cable & TV service in Tacoma, Puyallup, Centralia, Eatonville, Graham & beyond.